Yes you heard it right... It's a beauty post! I'm usually one of those people that barely ever tries new products, because, why fix something when it's not broken? Every so often I splurge on a new product, or mention it because it's something worth repurchasing! Today I'm talking you guys through some everyday essentials that are comepletely new to me, yet over the past week i've been trying and loving them so much that I just had to mention them! 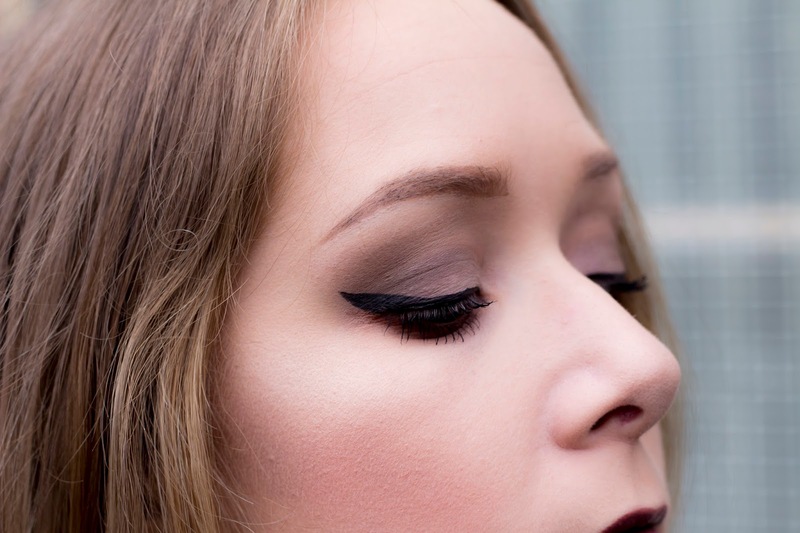 Starting with the most obvious, I love to rock a cat eye flick almost every day. For the past couple of months i've been using Rimmel London's Exaggerate liquid liner which gives you a super black flick, but I found the applicator to be way too thick. 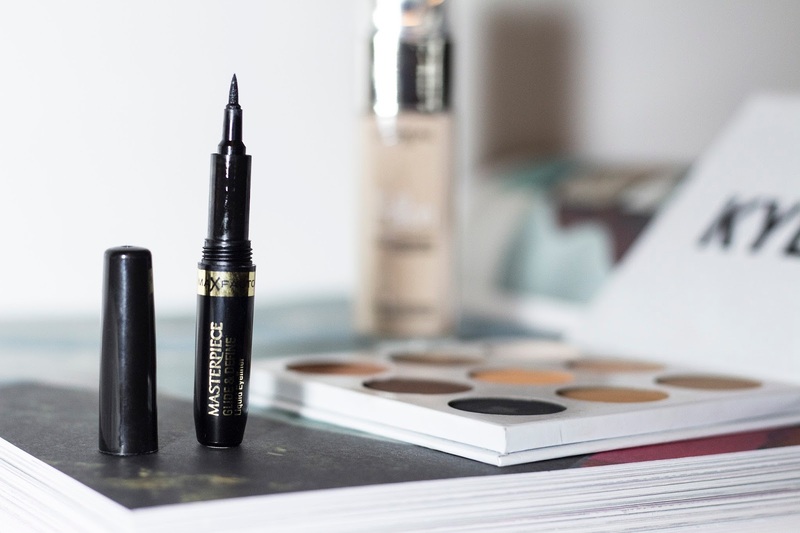 So when I had the chance to try out this Max Factor Glide and Define eyeliner pen from Just My Look, I was super excited to give it a go. In comparison to my thick Rimmel brush, this pen definitely gives me a more precise line, and I love that it takes me half the time to create my everyday flick! I've worn it for a couple of days to work this week and I found it lasts all day, dries super quick and doesn't crease. Sticking with eyes, The Bronze Palette from Kylie Cosmetics is definitely my favourite eyeshadow palette to date. I love all of the super intense colours, and find that I can create so many looks using one small palette. 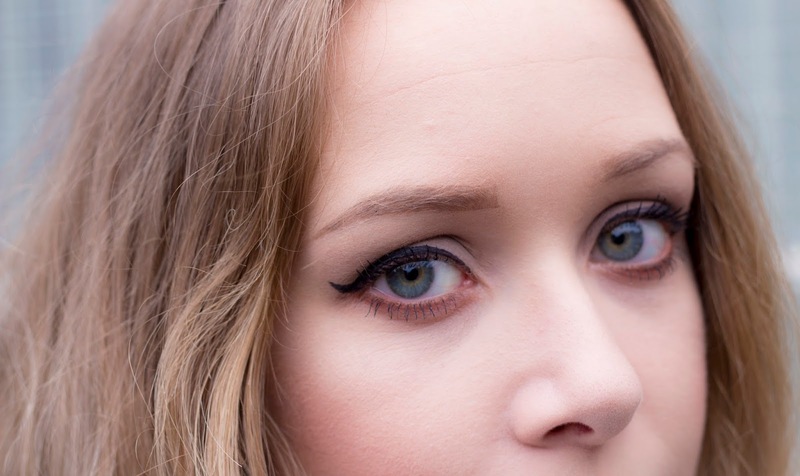 I love to brush one colour all over my lids like the photo above, but for nights out i've blended four colours around my eyes to make a super intense makeup look that got so many compliments! 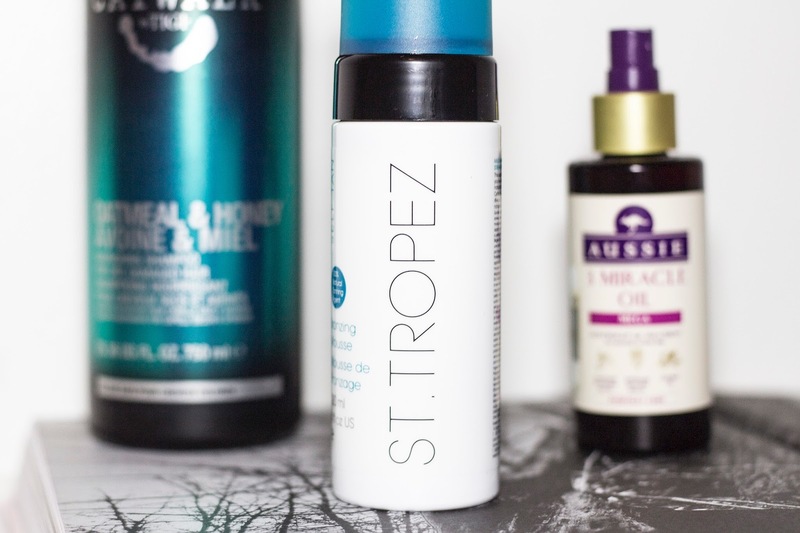 One of my favourite products in this post has to be the St Tropez Bronzing Mousse (also from Just My Look). As you guys may know if you've been reading my blog for a while, It's quite rare that I spend a lot on my tan, because as I mentioned earlier in the post, if it's not broke then don't fix it. 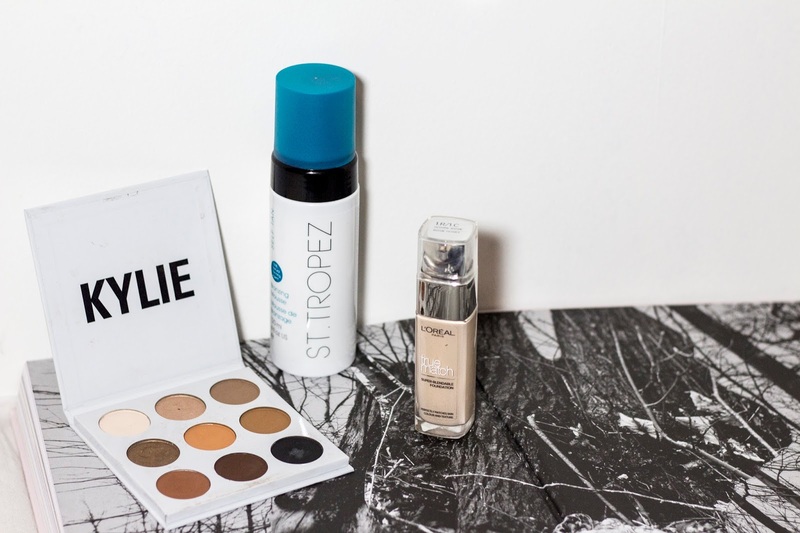 For about five years I've been wearing the St Moriz Medium self tan for a subtle glow, and applying it every 4 days. However, although I loved the shade of tan it gave me, it never really lasted long enough... And that's where this St Tropez beauty comes in! I first tried it on the day I shot these portraits above, which was on Sunday. I put two thin layers on with a fake tan mitt after showering, and I kid you not, it's currently Friday and my tan is still giving me a glow! Unlike other instant tans that melt off you when you shower, this stays put even after days and days of wear. 10/10 from me! After seeing a ton of bloggers and Youtubers wear the Loreal True Match Foundation on their latest campaign, of course I had to try it out! For a while I was using the Rimmel Lasting Finish foundation in the shade Ivory, but since it has always been that slight bit too dark for me, I decided to try and find a shade that matched me perfectly on the days where I wanted to be tan-free. So a couple of weeks ago I picked up the shade Rose Ivory (1C) and never looked back. 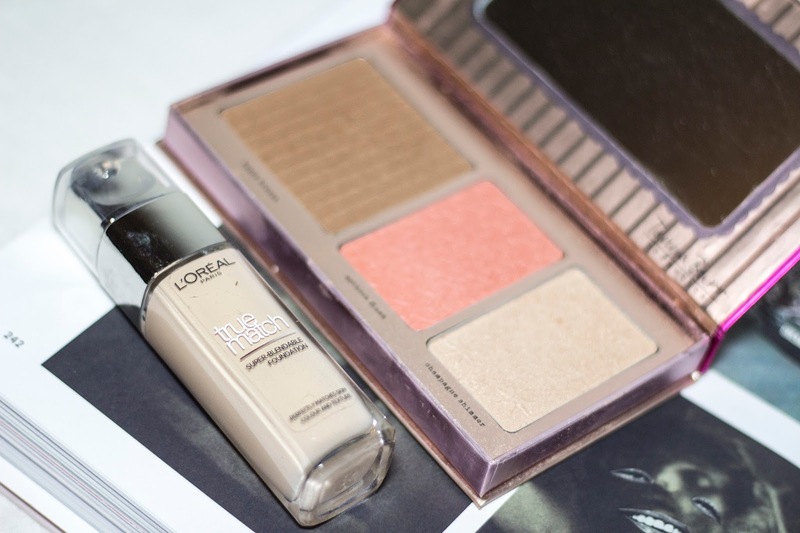 Unlike my other foundations, it is medium coverage and feels super refreshing on my face. To my surprise I have been using this every single day, and paired with the Tanya Burr blusher and bronzer in her Rosy Flush Cheek Palette, it looks amazing for day or night! Iv never actually tried any of Kylie's cosmetics but I absolutely love the look of The Bronze Palette, the shades look right up my street!